One thing I’ve realised about myself in the past few months is that I tend to do everything backwards. When we were working on converting a bedroom into our home office (which by the way still isn’t finished), the first thing I did was buy a lampshade. No idea what I wanted in the room, or colour scheme or anything – I just knew I wanted that lampshade. 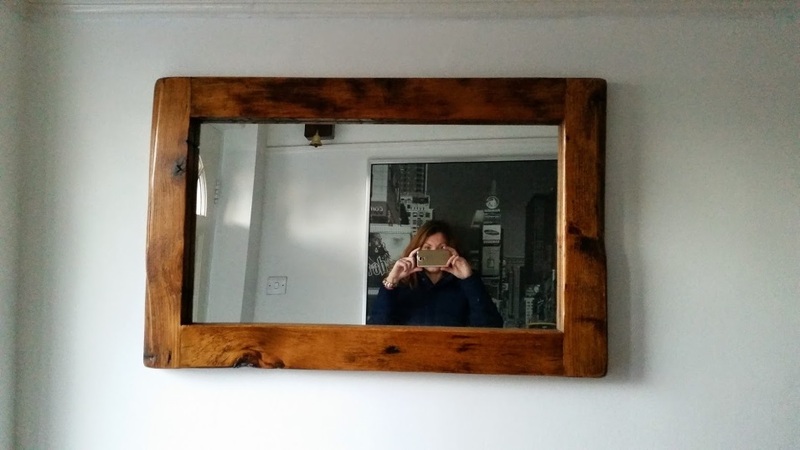 So it stands to follow that when I saw a mirror for the hallway, I knew it would be perfect. 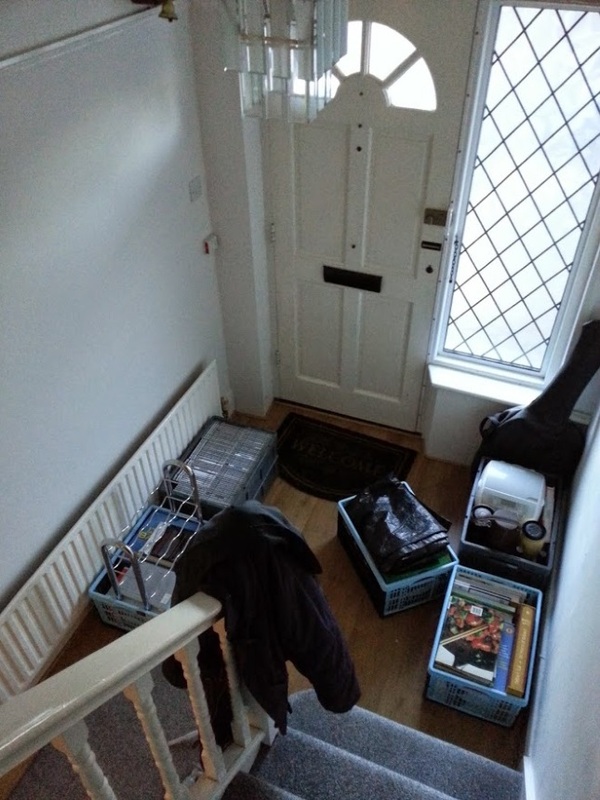 The hallway has taken a bit of a battering and has looked pretty much like a building site since we moved in, not giving the best first impression to visitors. Despite that it’s a really lovely space, full of light and huge amounts of potential. 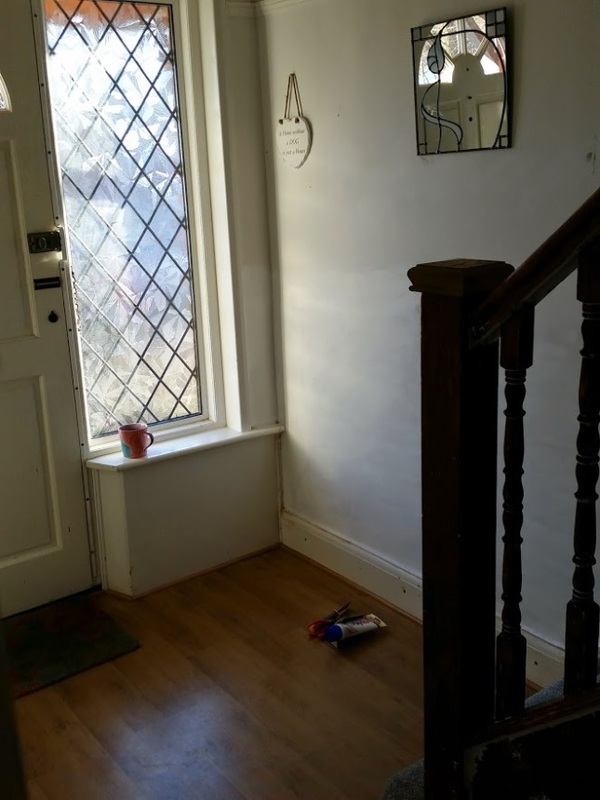 We’ve decided we want to recreate a typical 1930’s style hallway with a contemporary twist and will eventually replace the laminate flooring with parquet, complete the staircase restoration and finish it with a stair runner. 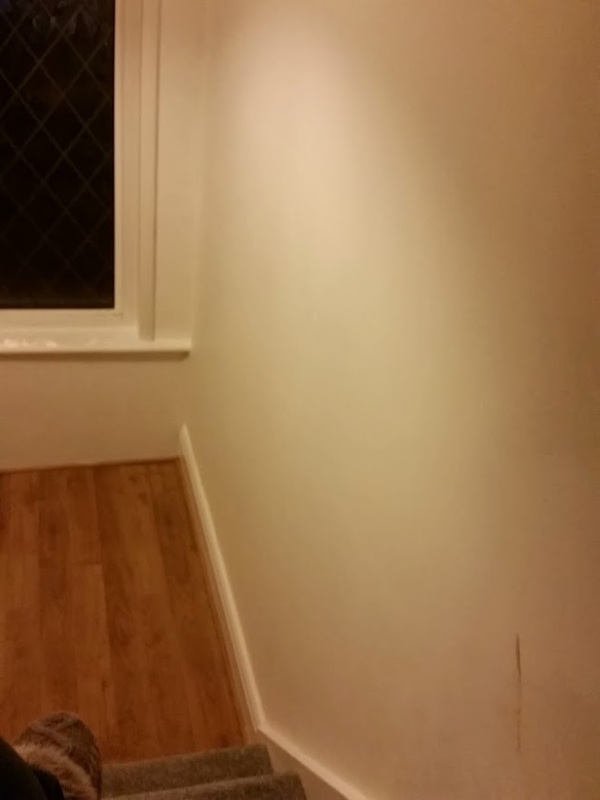 I haven’t yet decided on a colour for the walls but as they were a shoddy white when we moved in, we’re repainting it white for now to cover the damp proofing and all the scuffs and mess. To the left of the front door at the bottom of the stairs is the perfect space for a console table with a little lamp and above where the table will go is the new home of our beautiful mirror. Spending as much time as I do at markets means I get tempted all the time with unique and often hand-crafted home items and this was no exception. 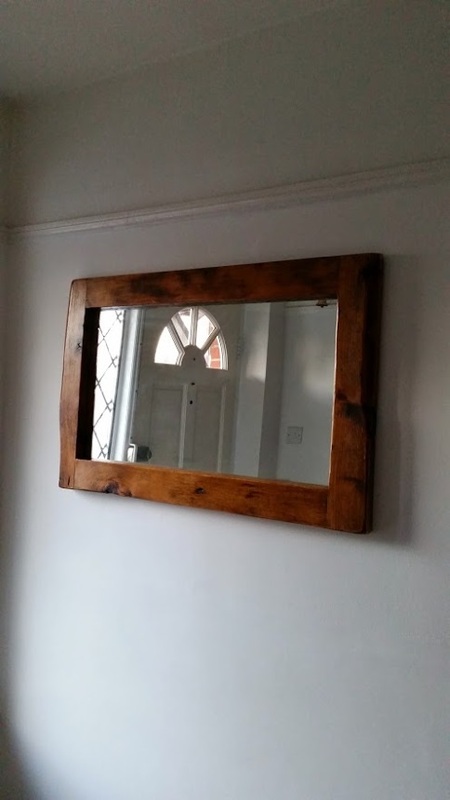 I said to OH that we could have spent years searching for the perfect mirror and before we were even ready for it, there it was. Alan Davidson designs and builds furniture and functional art, often using reclaimed materials and we’ve long been admiring the pieces he displays. 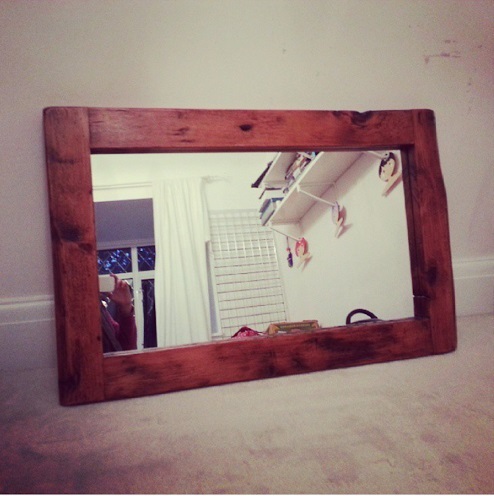 I saw something one day that really caught my eye and when Alan explained that the wood he uses is reclaimed loft timbers from 1930s houses in Ruislip that have had loft conversions, I loved the mirror even more – such a special history behind it. 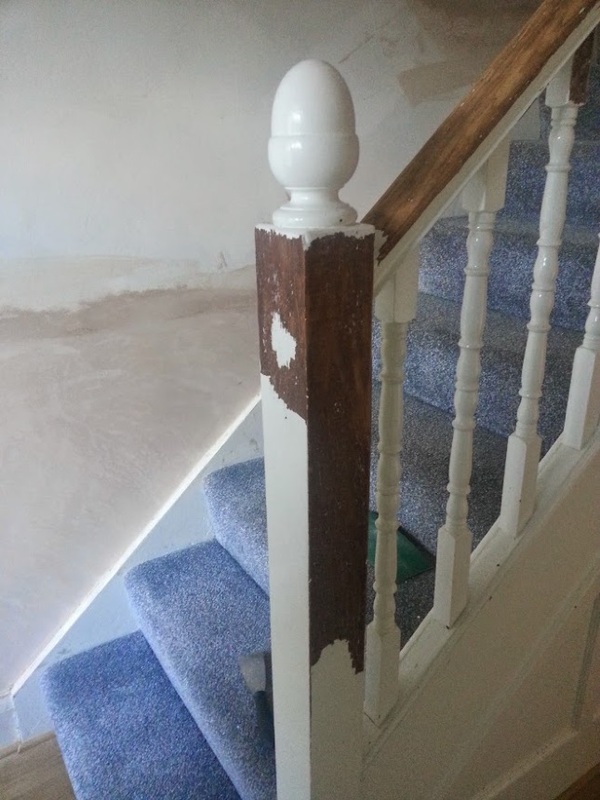 I gave him the dimensions and spec we wanted and a few weeks later we picked it up. That was back in September and it’s been sitting in a spare room ever since, waiting to go up on the wall. I finally decided to start painting the hallway over Christmas and so on New Year’s Day the mirror finally got its new home and I’m delighted – little by little the hallway is taking shape.